Autodiscover feature was first introduced in Exchange 2007 plays an important role in configuring server setting without having any prior information about the domain name, server name etc. It mainly relies on two basic credentials: username and password. The main role of Autodiscover is to provide information for mail server setting in order to connect to a remote server. It is an XML file that grants access to Outlook’s address book and messaging tools needed for connecting to the mailbox. Microsoft Outlook needs Autodiscover to find details in order to connect to Exchange server account. In case, the Autodiscover has not been configured properly then Exchange 2013 AutoDiscover Error 600 Invalid Request encountered. Thus, to have proper configuration, it is important to fix error code 600 in Exchange 2016, 2013, 2010 and 2007. How Autodiscover Works in Exchange Exactly? Autodiscover is used for client configuration with MS Exchange Server 2016, 2013, 2010, 2007 to a remote or mobile server. At times, users are asked for their username and password for their account as shown in the image below. After providing the mobile device with the user credentials, email client looks for the URL https://yourdomain.com/autodiscover/autodiscover.xml. This link provides required information for remote server configuration. If Autodiscover has been configured correctly then there will be no error. 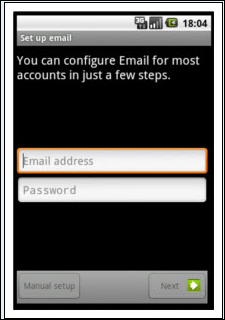 Moreover, the process of connectivity between the mobile device and the remote server is completed smoothly. User Credentials may be asked repeatedly. The user information may not be available. The error may occur while downloading Offline Address Book. Services like Out of Office or Outlook Anywhere may not respond in a proper manner. If the file opens in a manner similar to the image above, indicates that there is no problem with CAS. A user can go forward with following the troubleshooting methods mentioned below. If this file does not open, then replace IP address with Domain name in the CAS. After performing this action, if the XML file opens then the problem is with the Domain name server. Solution 1: There are two main methods to make sure that Autodiscover is working or not. To troubleshoot outside the network, the user can perform an easy test on the testExchangeconnectivity.com site. It is a free Exchange Connectivity tool of Microsoft. 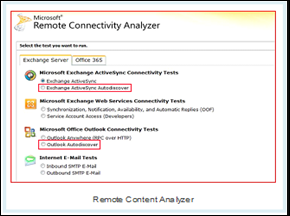 Through this website, two types of tests can be performed either Exchange Activesync AutoDiscover or Outlook Autodiscover. The user can select either of the two and click on Next to proceed. After that, a page will appear asking for user information. Fill in the details and click on Perform Test button and the test starts. An XML is available to download after this. An error may be generated saying “Connectivity Test Failed”. In such a case, click on Expand All to get all the details relating to what caused the failure. 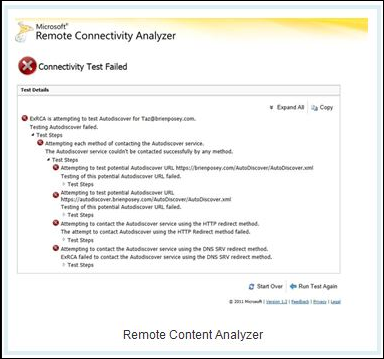 By following the steps below a user can perform manual testing of the Autodiscover configuration within the network. 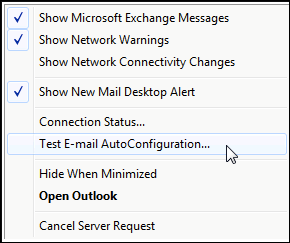 This can be done by testing existing Outlook profile with Exchange. In the new window, enter the Outlook account credentials and make sure that AutoDiscover box is checked. If the above method in unable to fix autodiscover error code 600 in Exchange 2013, 2010, 2007 and below, then follow the below procedure to resolve Autodiscover error in Exchange. At first, check whether the port number 433 is open for CAS firewall. This is to ensure AutoDiscover services can be accessed through HTTPS protocols. Now, Verify that the SSL certificate being used is from a trusted Certifying Authority. The Client Access Server uses a certificate that is self-signed by default. After performing the above steps, Autodiscover must work properly and the error code 600 should be removed. If the error is not rectified check for certification from outside the network. At times, downloading of XML file shows no error but Microsoft asks to create a “Host(A)” for the DNS. In such a case autodiscover.yourdomain must be added to the certificate to make sure the connection to the domain server remains SSL encrypted. Also, make sure that Client Access Server must have a SAN certificate. It is because the multiple subject names can be linked with just one certificate. Autodiscover is an essential file for Client Access Server and Microsoft Outlook. It is necessary for connectivity between Microsoft Exchange Server and MS Outlook. Without this file, a user cannot access their mailbox. Any error in the configuration of this XML file will block access to users email, tasks, journals, calendars etc. In order to resolve Autodiscover error code 600 in Exchange 2013, 2010, 2007 and below, different troubleshooting ways are discussed above. The above methods will resolve issue from both within and outside the network.